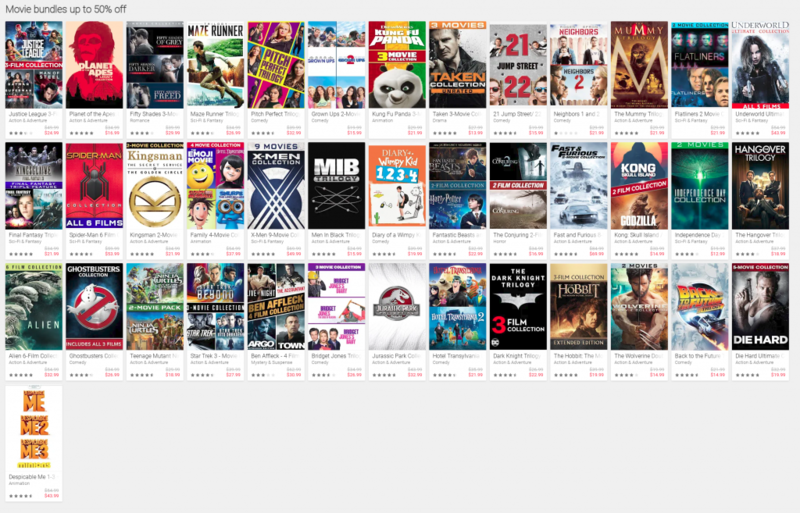 It’s the weekend and if the kids are driving you nuts, then why not grab a movie bundle and keep them entertained (and out of your hair) with a movie bundle from Google Play Movies. It’s not just kids movies on-sale though with a bunch of great classic movie series, including the Die Hard movies, original Planet of the Apes series, Men in Black and more. But yes you’ll also get kids movie bundles in this sale, with the Kung Fu Panda series, Diary of a Wimpy Kid, Hotel Transylvania and more on-sale. There’s 40 movie bundles on-sale in this deal, with some, like the Back to the Future trilogy an absolute must-buy. If you want to check it out you can head over to Google Play Movies and check it out now. 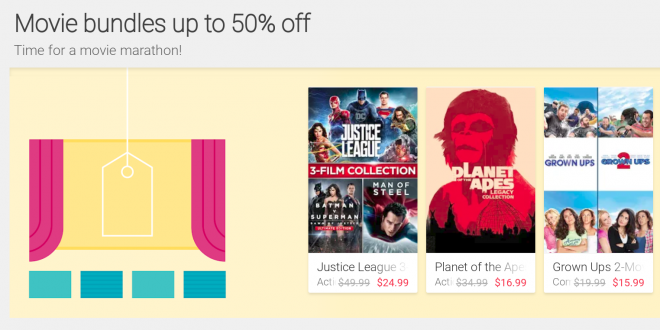 Source: Google Play Movies Sale.